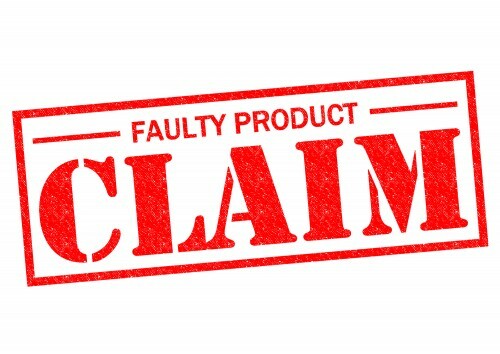 On behalf of Admin of JML Law, A Professional Law Corporation posted in Product Liability on Thursday, Apr 11 2019. Earlier this week, Bayer AG and Johnson & Johnson agreed to bring an end to the more than 25,000 Xarelto lawsuits against them. Plaintiffs in those cases were awarded a collective total of $775 million, according to court documents. In reaching the agreement, the two drug makers denied any liability for injuries caused by a product they developed together—Xarelto. Thousands of plaintiffs say Xarelto, a “blood-thinning” medication, caused unstoppable bleeding. In some instances, the use of Xarelto led to death, say attorneys for the families of those who purportedly died using the drug. Drug makers have a duty of care to the people that consume the drugs they make—they must warn of any potential side effects in a way that is adequate enough for users to weigh the risk of taking the drug against the risks of not taking the drug. When they fail in this duty, then drug makers put themselves at risk of liability if harm results from the drug’s use. If you or someone you love has been injured due to unexpected side effects from a prescription medication, JML Law and our Los Angeles product liability attorneys want to know about it right away. Give us a call at 818-610-8800 now to discuss your situation. Plaintiffs say that the drug companies failed to warn patients about the potential bleeding risks that can result from Xarelto use. They also say that their injuries were preventable if doctors prescribing the drug and patients taking the drug had been provided with “adequate information” on its potential side effects. Bayer AG and Johnson & Johnson will equally foot the $775 million to pay plaintiffs. The action resolves all pending lawsuits in the U.S. in regards to Xarelto. First approved for treating atrial fibrillation and reducing the risk of pulmonary embolism and deep vein thrombosis in 2011, Xarelto became the focus of lawsuits regarding the dangerous bleeding it causes in some individuals as early as 2014. Both companies maintain that the labeling on Xarelto provides “complete, accurate and science-based information on the medicine’s benefits and risks.” Regardless, the drug has been a cash cow for Bayer; the company made more than $4 billion from the drug in 2018 alone. Johnson & Johnson’s sales were $2.47 billion. Don’t be intimidated by the big pharmaceutical companies—if you’ve been injured by a drug, JML Law can stand up for you and be your advocate. Set up your no-cost consultation with our Los Angeles product liability attorney now to go over your case in greater detail.